Ecologists Ryan Prioreschi and Heather Swanson observe infected mule deer in Table Mesa, Colorado. Ryan Prioreschi uses a radio receiver to search for deer that have been previously tagged and sampled for the disease. 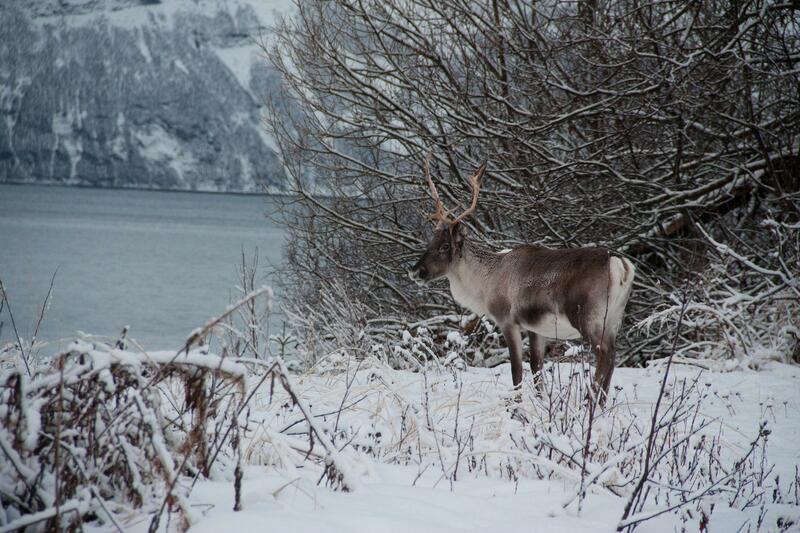 Norway is home to some of the only wild reindeer in Europe. 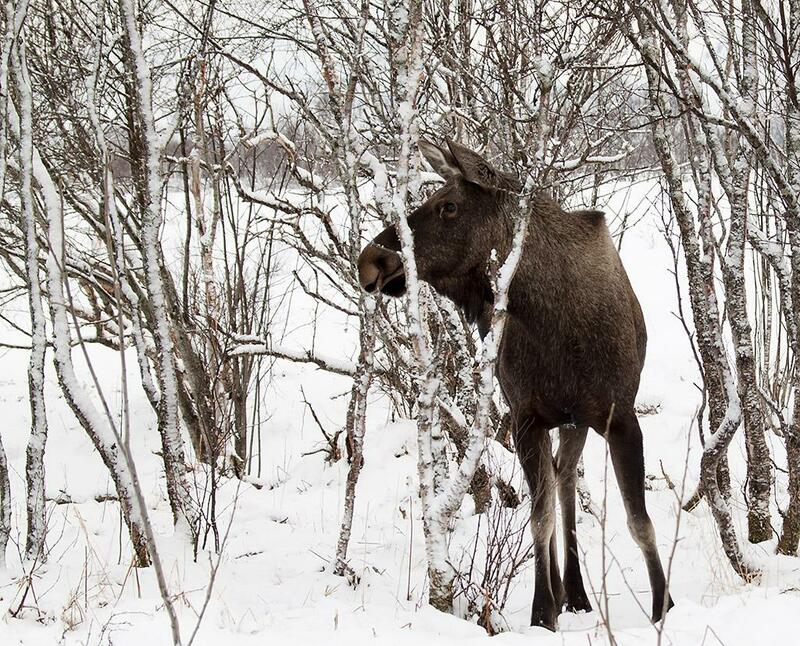 Two moose in Norway were discovered with chronic wasting a couple months after the first case was found in reindeer. 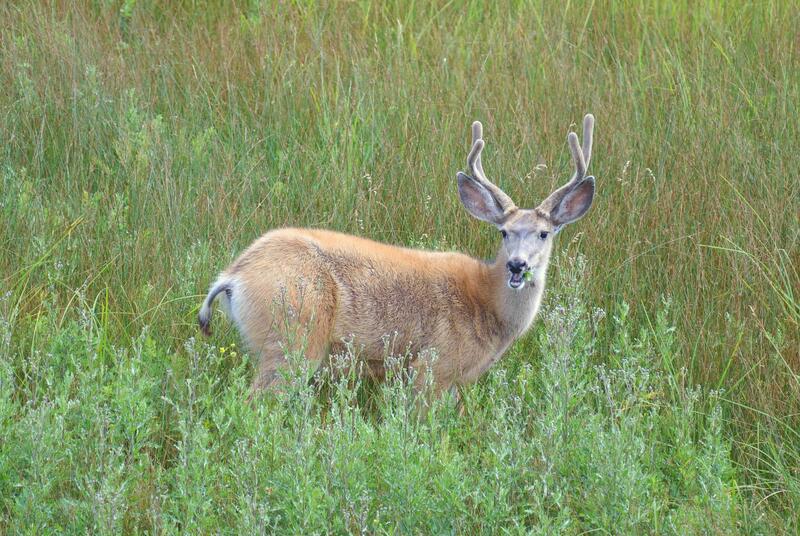 A mule deer buck at the Rocky Flats National Wildlife Refuge near Denver, Colorado. Mark Zabel (left) and Kaitlyn Wagner work at the Prion Research Center at Colorado State University in Fort Collins, Colorado. 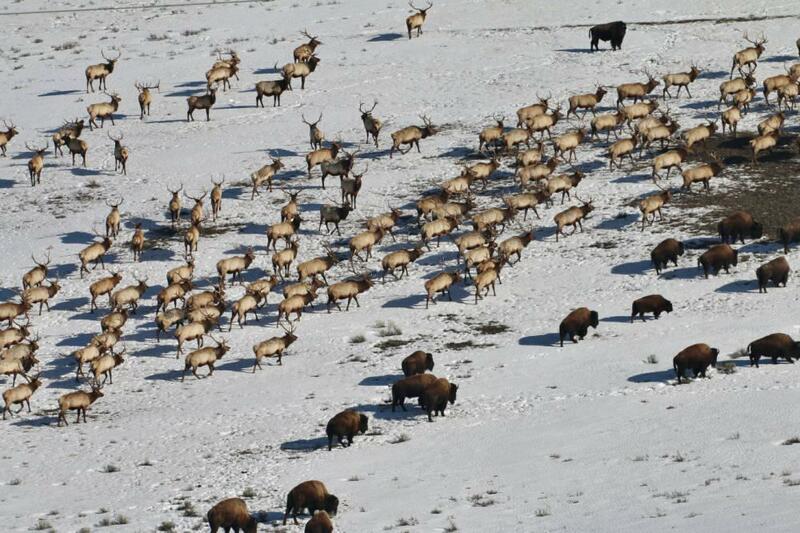 Wintering elk and bison at the National Elk Refuge in Wyoming. Environmental groups say feeding these animals could contribute to the spread of chronic wasting disease. 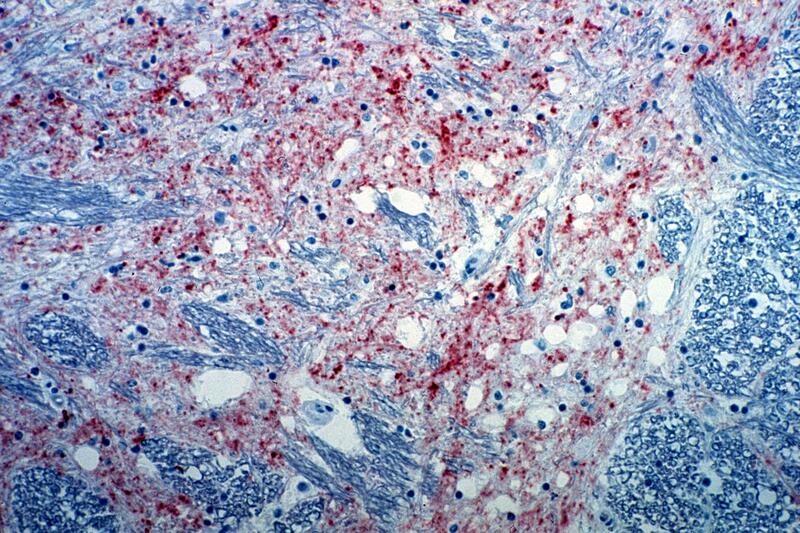 A section of brain from a cow infected with bovine spongiform encephalopathy. The brown staining indicates the presence of the agent causing the disease. Hunters in Colorado are being advised to be on the lookout for a contagious disease that kills deer. The Daily Camera reports chronic wasting disease has now spread to 24 states, including Colorado. And, while it has yet to happen, there is some concern it could spread to humans who hunt and eat the meat.